... by Tina Cox in PCM. 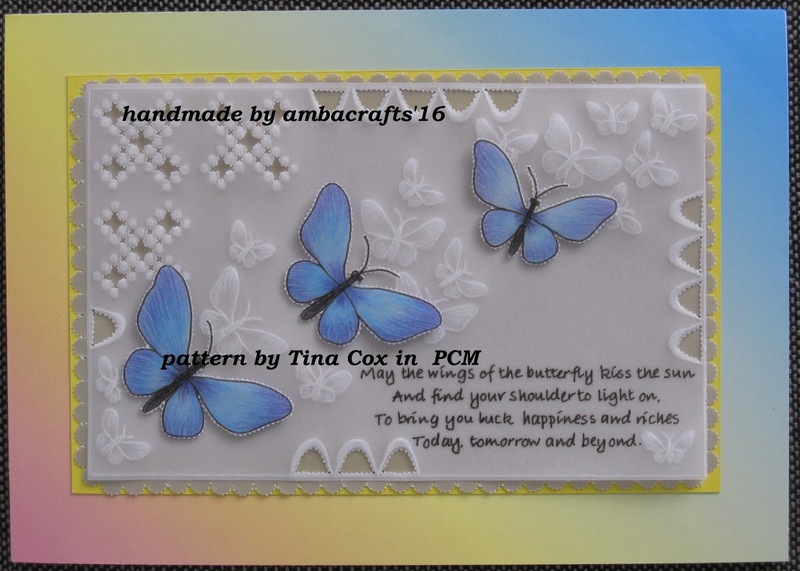 Handmade 3d flutterbies coloured with WHSmith blendable pencils. Beautiful, the butterflies are stunning! Super beautiful - I love this piece :-D The butterflies are really gorgeous. Wow!! Alison the work in this is so delicate and gorgeous. You have a fantastic talent. I adore those butterflies.